If your not in it to create a brand, then what are you doing it for? It's time for you to stop playing around with your and really create something that YOU love and that your clients can't stop talking about and one they can't get enough of. One of the best ways to grow your business is to focus on putting together a clear marketing message that attracts your ideal clients. Ideal clients are considered to be customers that are actively seeking the products or services that you are offering in your business. 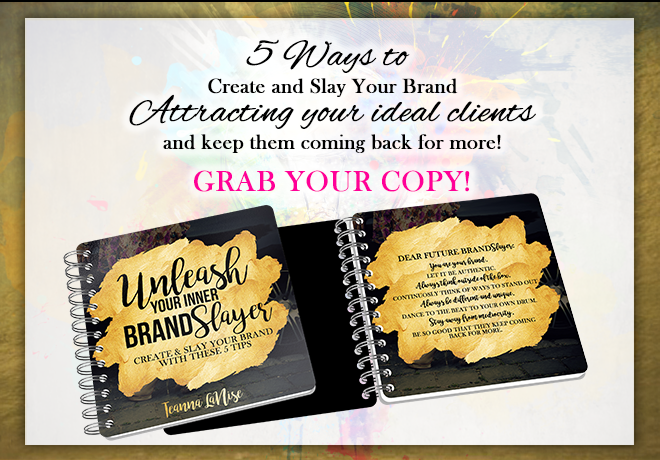 Grab your copy and create and slay your brand with these 5 steps!